I have had the privilege of participating in competitive and social dance since the age of 2, with many different dance studios and other platforms in the dance world. Throughout my experience as a dancer I have been a student, a group member, as well as a teacher. The design process for each of the roles are challenging and very different. As a student, you must begin by learning how to listen to music; understanding how to move your body to the rhythm is a fundamental tool for a dancer. When beginning to learn the art of dance and as a trained dancer, the mirror is very important in order to watch yourself move to the beat of the music. Watching your movement and understanding how your body flows is the best way to learn how to change and develop stronger as a dancer. As a group member in a dance class it is important to watch others around you in order to create a movement similar to the group; team dancing is about synchronization and flow with one another. In order to reach maximum potential as a group each dancer must focus on formation, movement, body placement, and timing, which are crucial visual aspects of dance for an audience member. As a dance teacher, you must take everything you have learned from your experience as a student, a group member, and an observer in order to create the end goal. 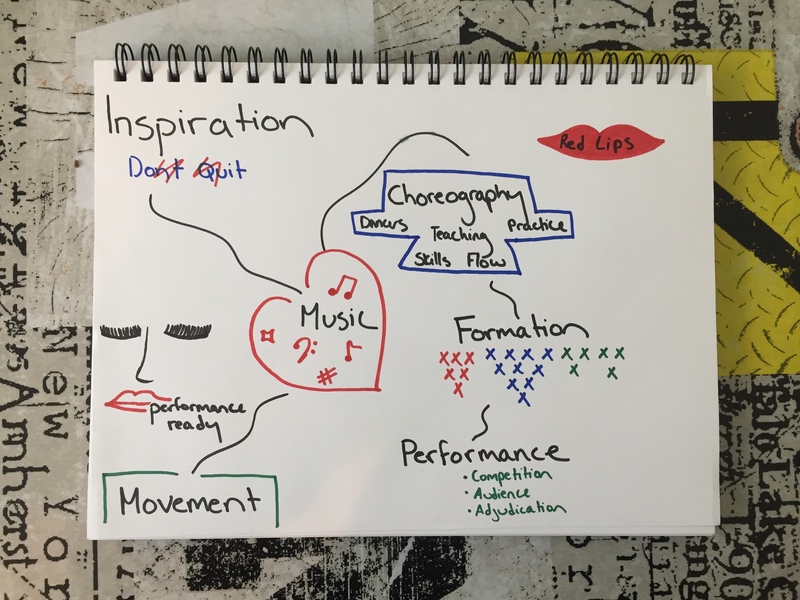 A dance teacher has the task of teaching the fundamentals of movement, choosing the music, putting together a group, targeting an audience, creating a formation, and inspiring others. This is the most challenging visual aspect of dance, creating a piece that will acquire a reaction from an audience while inspiring the dancers to perform to their best ability. Sometimes as a teacher you create a piece that doesn’t resonate with the group, the dancers don’t feel connected to the music or the movement and you have to go back to the drawing board to figure something out that works. This changes the design process by making the designer go back to figure out which section of the plan didn’t pan out the way you expected it to. When you have a process laid out that you follow, it is much easier to go back to the map and look to see if it was the music that was the problem, or if it was the choreography, or if the dancers didn’t feel inspired.